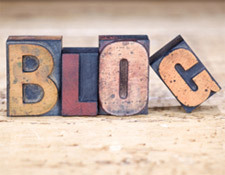 Running and maintaining a company blog is a great way to establish your company as an industry expert, help with link building and content marketing, and encourage a conversation with your customers. But a company blog is a reflection of that company, its products and its online brand. It should be handled with care and diligence. DO update the blog as frequently as possible. You might not have the time to draft and publish a new post every day, but you should aim for at least once a week. This keeps the blog content fresh and relevant, and gives your readers a reason to come back and check out the blog. DO schedule posts in advance. If you are on a writing roll, just keep going! Schedule additional posts in advance so that you don’t have to worry about squeezing in time to write new content if you get extra busy a few weeks down the road. DON’T republish other authors’ work. This will quickly get you labeled as splog (spam blog) or content farm. All your blog posts should be original work. It’s perfectly acceptable to respond to another blog post with your own, just make sure your site back to the original post. DO monitor the blog comments. If a consumer is trying to interact with your blog, let them! If visitors learn that they can’t leave a comment, they might not bother coming back to your blog. But monitoring also means not letting every comment go through. You might get 20 comments on a blog post, but 13 of them are obviously spam comments or vain attempts to drop a link. Letting spam comments go through clutter and devalues your blog. DON’T fill the company blog with personal info. While you may be over-the-moon at the birth of your son or daughter, a company blog isn’t the place to gush. Stick to blogging about industry and company related topics. DO optimize your blog titles. Incorporating relevant keywords can help the blog posts rank on their own in the search engines, driving traffic to the blog. DON’T let just anyone manage the company blog. The person in charge of the blog should have a firm understanding of topics to be addressed, the writing voice to be used and know the company and its brand inside and out. They also must possess better than average writing skills. This person is going to be the voice of your company, so spelling and punctuation counts! DO link to other, relevant blog posts within a new post. This can help keep visitors clicking through your blog and provide additional reference points for your readers. Encourage readers with a RELATED STORIES section so they stay involved with the blog for longer. DON’T talk at your readers. A blog is usually a little more informal than a corporate website, and readers should feel like they are part of a conversation. It doesn’t have to be totally casual, but the blog should talk with consumers, not at them. These are just a few of the basic Dos and Don’ts of writing a company blog. The most important thing to remember is that a blog is chance for your company to engage with its audience in a whole new way. Don’t let a mishandled blog negatively affect that relationship, the company’s online reputation or brand. Guest Bio: Nick Stamoulis is the President and Founder of Brick Marketing and SEO Consultant. Brick Marketing is a full-service Internet marketing and SEO services firm based in Boston, MA. Scheduling post in advance is good just in case things go sour and you can’t get to the office that day..it works well.. I can see some nice tips drafted in this post. However, its important to understand the difference between your personal blog [could be about anything] and a company blog. In your personal blog, authors are advised to post what their readers would like. Which generally includes tweaking your posts a bit to make them more interesting to your readers. While in corporate/company blogs, its more important to post the company’s strategies. Because there, “what readers are looking for”, doesn’t matter much. What matters is what the company is planning. I can agree with all of the tips about running company blog. Keep the posts on matters only related to the company. Great post James! I have recently taken over responsibility for my company’s blog. However, it has been like pulling teeth to get the rest of the staff on board with contributions. Do you have any ideas on incentives for engaging more than simply one writer. It’s too much to ask! Thanks.